Canada defeated Brazil at the Rio 2016 Olympic Games to take the Olympic Bronze Medal. Canada’s back-to-back podium finishes at the London 2012 and Rio 2016 Olympic Games earned them the distinction of becoming the first Canadian team to win back-to-back Summer Olympic medals since 1908. They were also the first-ever women’s Canadian team to repeat on the podium. 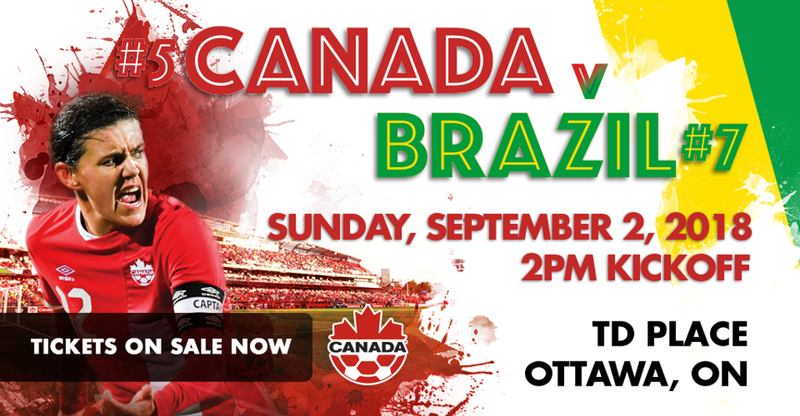 Canada also faced Brazil in Toronto and Ottawa ahead of the Rio Olympics, splitting the series, including Canada’s send-off final match in Ottawa which saw the home team defeat Brazil 1-0, with Janine Beckie scoring in the 90thminute to secure the win in front of 23,588 fans at TD Place.